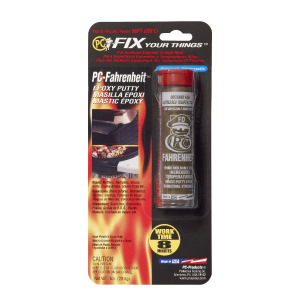 The choice epoxy for temperatures up to 500° F.
PC-Fahrenheit™ Putty Epoxy is the choice for temperatures up to 500° F. It is supplied as a premeasured stick that you mix with fingers. Fast curing (60 min). Best for steam heat applications. A toolbox must. Great on copper and iron. Can PC-Fahrenheit™ repair leaking steam radiator? PC-Fahrenheit™ resists higher temperatures and is suitable for repairing steam pipes and radiators. 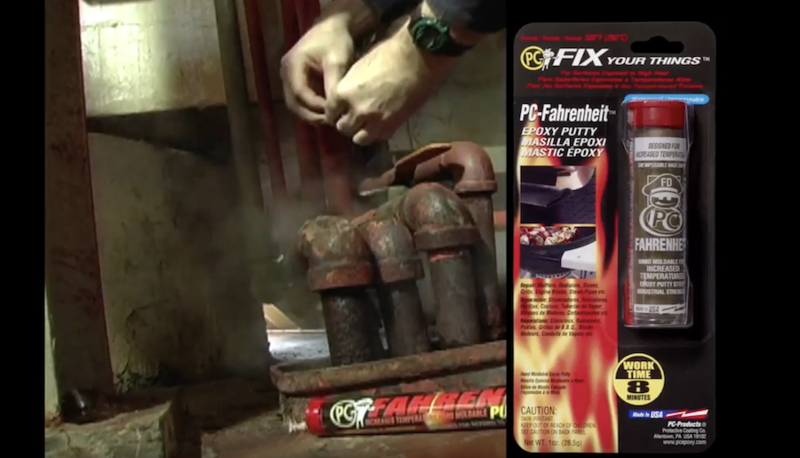 Can PC-Fahrenheit™ be used in a fireplace or wood burning stove? PC-Fahrenheit™ will withstand temperatures up to 500°F. A fireplace or wood burning stove creates temperatures exceeding 500°F. 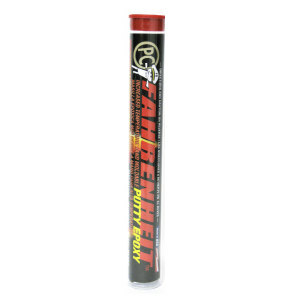 Can PC-Fahrenheit™ be used to seal heater chimney duct? PC-Fahrenheit™ is excellent for use on sheet metal and the temperature is within acceptable range. Can PC-Fahrenheit™ seal a rust hole in barbecue grill? 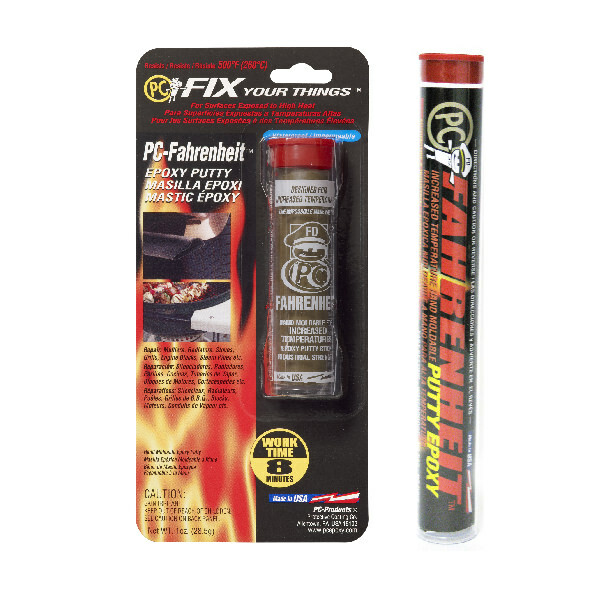 PC-Fahrenheit™ can be used on the barbecue grill exterior but is not recommended for the interior. How long should PC-Fahrenheit™ be mixed before applying? Mix PC-Fahrenheit™ for 45 to 60 seconds then immediately apply. What is the temperature limit? PC-Fahrenheit is not intended to exceed 500°F. PC-Fahrenheit™ is not flame resistant and may burn if exposed to direct flame. Does PC-Fahrenheit™ stick to car radiator? Car radiators are made of various metals and plastic composites. Test for adhesion and test for leaks. 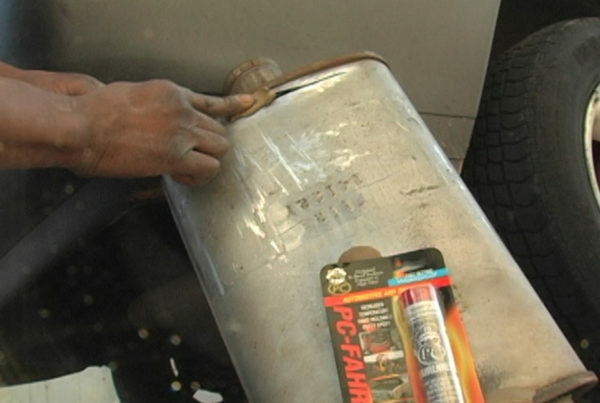 Engine exhaust is very hot, especially at the catalytic converter where the temperature can exceed 500°F. The smell may diminish eventually or you can remove the cured epoxy and replace the leaking converter.